What a ride it’s been–and it’s only just beginning! We had a fabulous book launch event last week in Cary, NC, and celebrated the publication of The New Southern-Latino Table with friends and family from the Triangle and beyond. You can see some photos at the book’s Facebook page. Glad to see so many of our dinner party food bloggers there! Thank you for dining along with us. We hope you’ve been inspired to try some of these dishes in your kitchen. And maybe you’ve discovered a new food blogger or two whose blogs you’ll continue to visit. We thank all our fabulous foodies for helping make this dinner party series a success. Today’s roundup post is crossposted at SandrasKitchenStudio.com. It took an American-born, Guatemala-raised North Carolinian and a grocery clerk with a Puerto Rican dad to lead me to a Mexican tienda twelve blocks from my California house. Sandra Gutierrez and I met a few years ago at a food writing conference, and her smile stayed with me even after I’d crawled into bed, shut the light, and closed my eyes that first night. Hers is a big, warm, sincere smile, the kind that lingers and makes the world a sweeter place. Sandra’s first cookbook, The New Southern-Latino Table, fuses her Latin American roots with her Southern sensibilities, and the results are steeped deeply, and equally, in both traditions. Biscuits meet chiles, grits meet loroco (an “edible vine flower” common in Central America), and peach cobbler meets mango and tequila. You’ll find a solid introduction to ingredients with which you may be unfamiliar — from chayote (a squash) to chiltepin (a fiery pepper) to yuca (a popular tuber). I’m game to try them all. That said, Sandra also seems quite fond of the Southern staple pimiento cheese, and I’m afraid I need to draw the line somewhere. Lo siento. Happily, however, the two recipes I’ve made so far were wonderful. Sandra’s Chile-Cheese Biscuits with avocado butter were rich, flaky affairs. I served them with a potful of her Nuevo Red Beans and Rice, thick with andouille sausage and meaty pork ribs. My Texas-bred husband — a man who knows a thing or two about biscuits — and my children, who enthusiastically welcomed all the bold flavors — gave firm seals of approval to both. The biscuits call for queso seco and the stew called for achiote oil, a mixture of achiote seeds steeped in olive oil. My local supermarket had neither the cheese nor the seeds, but the young clerk whispered that his Puerto Rican father shopped at a small Mexican market that — it turned out — was just a few blocks from my house. I’d driven by it a thousand times without noticing it. Later that evening, I had everything I needed. Thanks to him — and thanks, too, to Sandra, Puerto Rico, Mexico, Guatemala, and North Carolina. It takes a village, and sometimes the whole world really is right outside your doorstep. For the past several weeks, Sandra’s friends and colleagues have been helping her spread the word about her book. More recipes from The New Southern-Latino Table are aggregated on Sandra’s blog and on the website of her publisher, The University of North Carolina Press. [[csr notes: This recipe yielded 17 biscuits for me, rather than the 12 indicated in the recipe. They freeze beautifully. If you have trouble finding the queso seco, take the time to look for a Latin or Mexican market in your neighborhood. You’ll love knowing where it is. Also, if you don’t have self-rising flour, simply add 1 tablespoon of baking powder and 1 teaspoon salt to 2 cups of all-purpose flour and proceed as directed.]] Excerpted with permission of the University of North Carolina Press (2011). Preheat the oven to 475°F. In a large bowl, whisk together the flour, cheese, and chile powder. Using a pastry blender (or two knives), cut the lard into the flour mixture until it resembles coarse sand. Stir in the chiles. Gradually add the buttermilk, mixing the dough with a wooden spoon or your hands just until it holds together (you may not need all of the buttermilk). Turn out the dough onto a lightly floured surface and knead it gently a couple of times. Pat it into an 8-inch circle (about 1/2 inch thick). Using a well-floured 2 1/8-inch biscuit cutter, cut out 12 biscuits (you’ll need to gather up the dough and pat it down again lightly after the first biscuits are cut to get all 12). Place the biscuits, with sides touching, in a 10-inch springform or cake pan. With your knuckle, make a small indentation in the center of each biscuit; brush the tops of the biscuits with the cream. Bake for 18-22 minutes, or until the tops are golden brown. You probably have a bag of carrots in your refrigerator. I do. I always do. Carrots are the workhorses of the vegetable world. Dependable. Right there in the crisper should you need one or two to sweeten your tomato sauce, or to flavor a batch of chicken broth, or to shred into a tossed salad. They are, in my opinion, a seriously undervalued ingredient. We pile them on crudité platters and arrange them around a chicken or turkey for roasting. Rarely do we make carrots the star of the show, except for in the ubiquitous carrot cake. But this common, bright orange (or occasionally red or pale yellow) vegetable has plenty more to offer. I have turned carrots into delicate gnocchi and into filling for ravioli. At Thanksgiving, they become a rich, savory tart. And I am always looking for new and clever ways to feature them. Which is why I was so happy to see the recipe for Carrot Escabeche in my friend Sandra Gutierrez’s cookbook, The New Southern-Latino Table: Recipes That Bring Together the Bold and Beloved Flavors of Latin America & the American South. 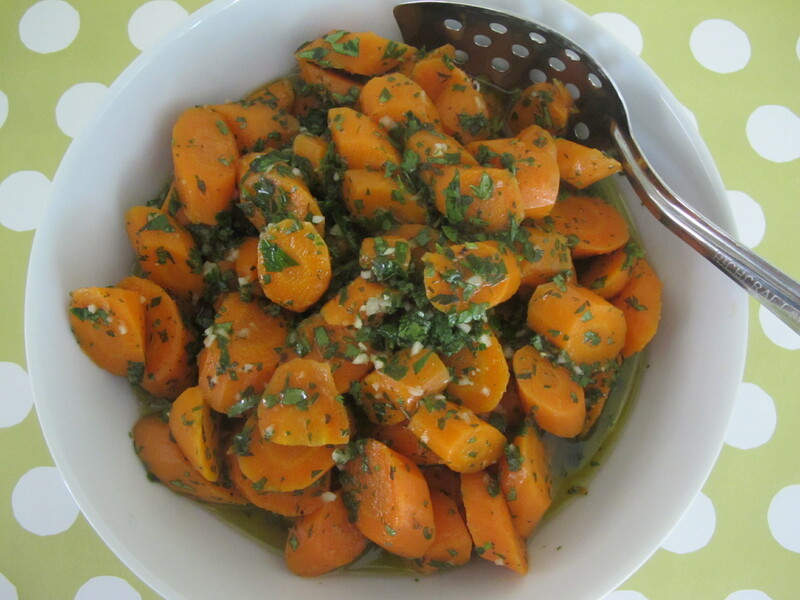 Sliced carrots, cooked until they are just tender, then marinated in vinegar, fresh herbs, and garlic. Yep, that recipe has my name all over it. So do many others in Sandra’s new book. 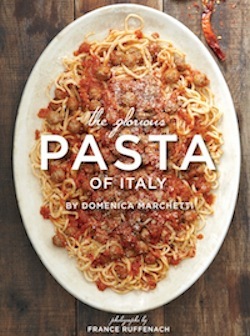 It is filled with fresh takes, from Sweet Corn Soup with Cinnamon Hushpuppies to Kale Canelones with Country Ham and Mushrooms. For years, Sandra has made her home in North Carolina, which is why so many of her recipes have a delicious southern twist—Guava Layer Cake with Cream Cheese Frosting! Interspersed throughout the book are short, informative essays ranging from the history of pork in Americas to what to plant in a Southern-Latino garden. Perhaps the nicest feature, though, is that the book is written in Sandra’s warm, expansive voice. It’s as welcoming as a slice of that layer cake washed down with a glass of sweet tea. When Sandra asked me to be part of a series of virtual Southern-Latino dinner parties to celebrate the release of her book, I knew I would be in for a treat. Right away, I volunteered to make the Carrot Escabeche. But I did not want to stop there. 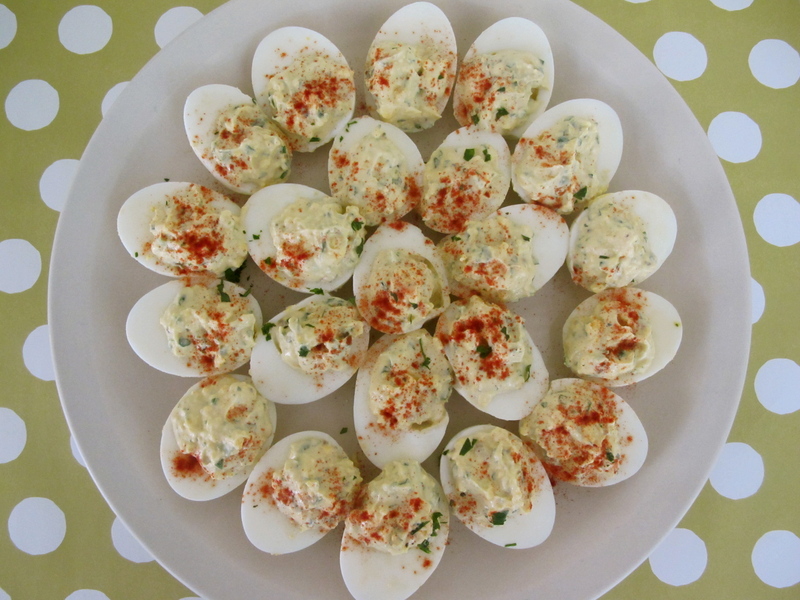 Flipping through the pages, I found just what I was looking for: Jalapeño Deviled Eggs. Rich and savory, with a fresh herb and jalapeño-spiked filling, these eggs were a perfect partner for the bright, assertive flavors of the escabeche. * Cheryl Sternman Rule has whipped up Chili-Cheese Biscuits with Avocado Butter. 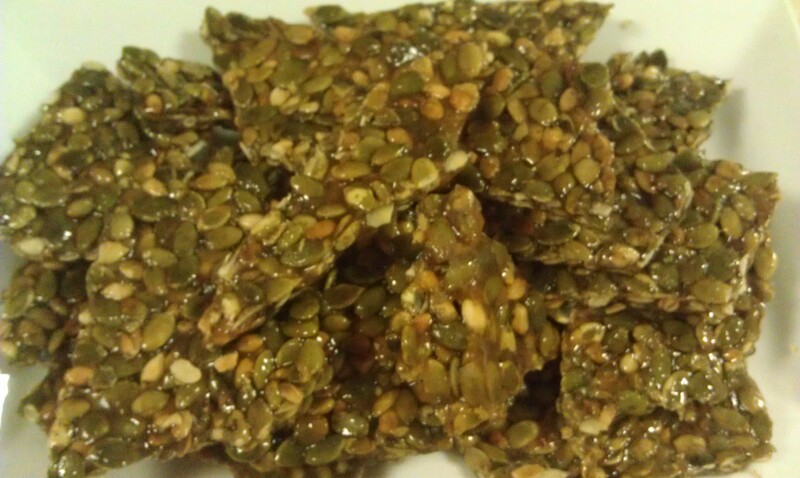 * Johanna Kramer has your sweet tooth covered with a batch of Pumpkin Seed Brittle. * You’ll find a roundup of all of the tasty posts, recipes, and links on Sandra’s own blog, Sandra’s Kitchen Studio, and at Sandra’s publisher, uncpressblog.com. This recipe gives carrots the star treatment they deserve. I like to serve it as an accompaniment to grilled meat, roast chicken, or fish. To insure the fullest flavor, toss the sliced carrots with the vinaigrette while they are still warm. Sandra recommends adding the chopped herbs after the carrots have cooled completely to maintain their bright green hue. The only change I made to the original recipe was to shorten the cooking time for the carrots. I found they were done within 10 minutes of boiling. Place the carrots in a medium saucepan filled with cold water. Bring the carrots to a boil and cook over medium-high heat, uncovered, until fork-tender, about 15-20 minutes. While the carrots are cooking, in a small bowl, whisk together the vinegar and oil; set aside. Drain the carrots and place them in a bowl; pour the vinaigrette over the hot carrots and mix to combine. Allow the carrots to cool to room temperature. Add the cilantro, parsley, mint, rosemary, garlic, salt, and pepper; stir to combine. Serve slightly chilled or at room temperature. The escabeche will keep for up to 1 week in your refrigerator; bring it to room temperature before serving. Serves 6-8. I never met a deviled egg I didn’t like. 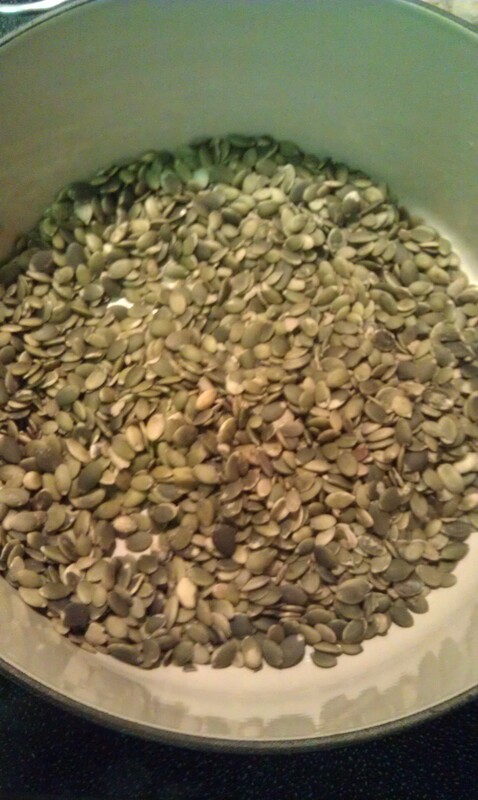 These ones, though, are especially good, spiked with finely chopped jalapeno pepper and brightened with fresh cilantro. Sandra’s technique for hard-boiling eggs—bringing them to a boil in water and then turning off the heat and letting the eggs sit for 12 minutes—works perfectly. I ended up doubling the recipe because, you know, you can never have too many deviled eggs. Place the eggs in a medium pan and cover with cold water. Set the pan over high heat and bring to a rolling boil. As soon as the water comes to a boil, cover the pan and turn off the heat. Let the eggs cook for 12 minutes. Plunge the eggs into iced water to stop the cooking process. Once the eggs are chilled, peel off the shells. Halve each egg lengthwise; scoop out the yolk into a small bowl, and set the egg whites on a plate lined with paper towels. Using a fork, mash the egg yolks into a paste; add the mayonnaise, onions, jalapenos, cilantro, parsley, mustard, salt, and pepper and stir together well. (If not serving immediately, cover the egg whites and filling separately with plastic wrap and store in the refrigerator for up to 6 hours.) Using a spoon (or a pastry bag), fill the egg white cavities with the egg yolk mixture (about 1 tablespoon). Chill them, loosely covered, until ready to serve (but no longer than 2 hours). When ready to serve, sprinkle the eggs with smoked paprika and garnish with parsley. Serves 6. I love peanut brittle! As a child growing up in Toronto Canada, making peanut brittle was something my dad and I did together during the winter months. There was something exciting about spreading out the finished peanut mixture onto a sheet pan and setting it onto the snow-covered back porch to chill. I would stand there staring out at the glistening peanut-studded brittle through the sliding glass doors, knowing it wouldn’t be long before I would be eating (devouring is a better word) a piece of that sweet, salty, and crunchy peanut-laced brittle. In her new cookbook, “The New Southern-Latino Table,” author Sandra Gutierrez brings the flavors she grew up with in Guatemala to the southern table, incorporating both the traditional ingredients of her Latino heritage and the southern flavors she has grown to love. When I received my copy of Sandra’s “The New Southern-Latino Table,” I couldn’t help but think of my dad when I came across the recipe for Pumpkin Seed Brittle. And as I made it, I felt propelled back to the days when I was standing on a chair making peanut brittle next to my dad; watching the temperature rise on the candy thermometer and the sugar turn deep amber before adding the peanuts, then waiting in anticipation as it cooled. 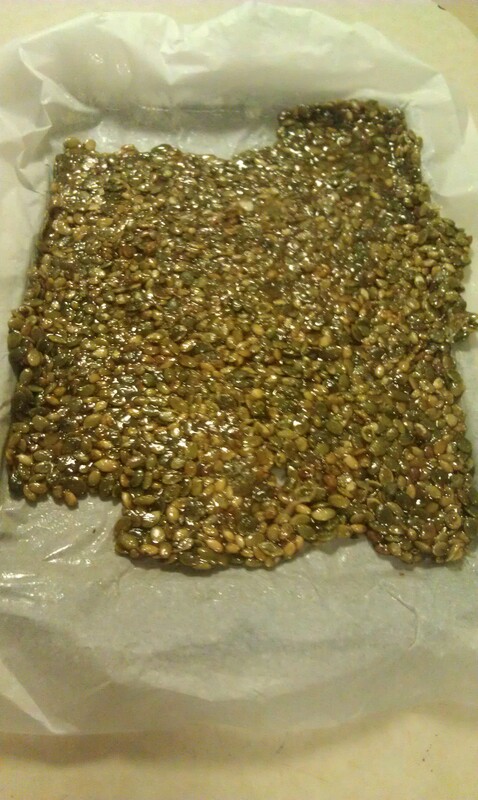 Sandra’s recipe for Pumpkin Seed Brittle is a “traditional Mayan treat popular in Guatemala.” The recipe substitutes the use of regular peanuts for toasted raw pumpkin seeds, which lends a crunchy nutty flavor to the honey-infused brittle. The brittle is perfectly tasty on its own, but I think a small piece placed on top a piece of cheesecake, or scoop of ice cream would turn a simple dessert into something special. 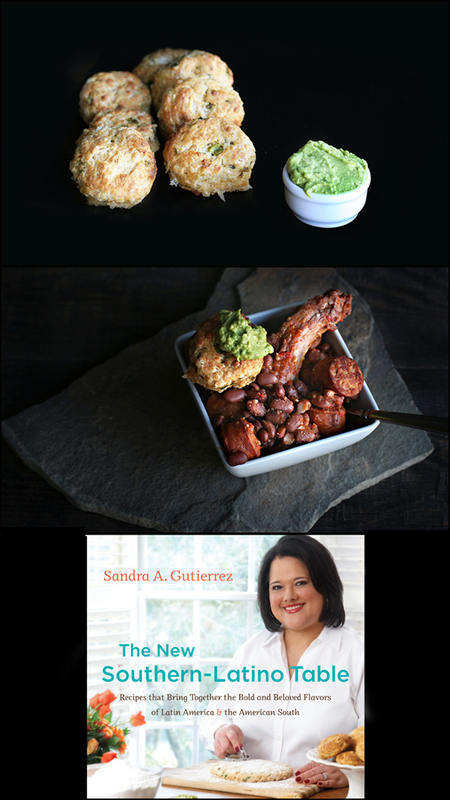 Join us as we celebrate Sandra’s cookbook by presenting you with the virtual New Southern-Latino Table Dinner Party. This is the third and final week, so if you’ve missed any of the first two, you can read them here.